Hello, friends. Finally its December!!! Frosted Designs is having a special challenge this month. Instead of the regular Friday Challenge, we are doing this "The 12 Days of Christmas" starting from 1 December to 21 December. There will be 12 challenges and for each challenge, you will be given a product or theme to work at. There are lots of prizes to win. 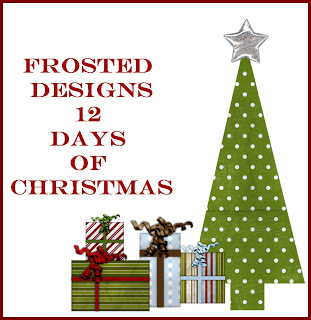 For full details, please hop over to Frosted Designs "The 12 Days of Christmas" Challenge. Hope you will join us for the challenges. There's also a "Refer A Friend" contest too.